The Goderich Triathlon is an annual multi-sport event held in the beautiful town of Goderich, Ontario. The event takes place on the main beach, situated on Lake Huron. 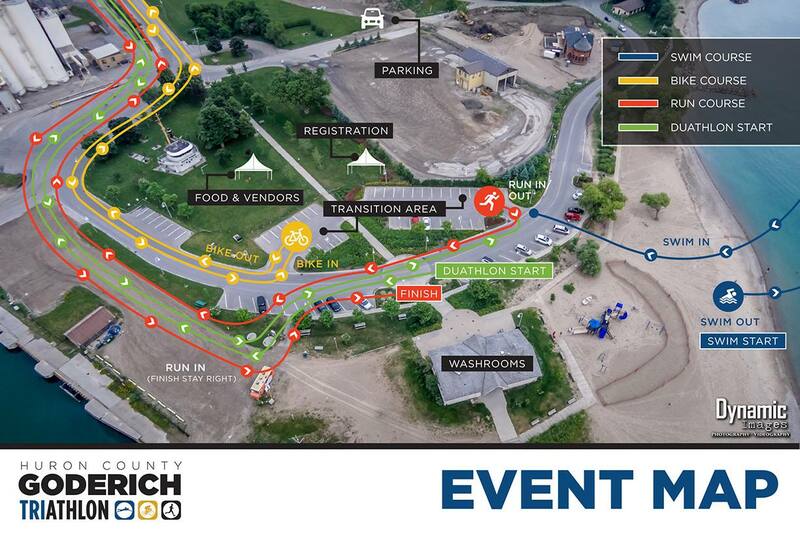 See Location for map and directions to the Goderich and the main beach. Timing chips will be used to track overall and split times for all event types. Please see Rules and Regulations for race rules and regulations. You may also pickup your race kit on race day at the registration tent, but it is suggested to get it Saturday if possible to avoid any delays on race day. **** All participants including those in the Sprint Triathlon and Duathlon events are advised to arrive between 6am and 7:15am as you’ll need to sign a waiver, get bib, chip and markings. We advise arriving as early as possible however to account for possible delays in the check-in process. Even if you have checked-in the day prior, you still need to get a timing chip and markings the day of the race. 10:30am to 12:30pm: Post race awards and celebration. 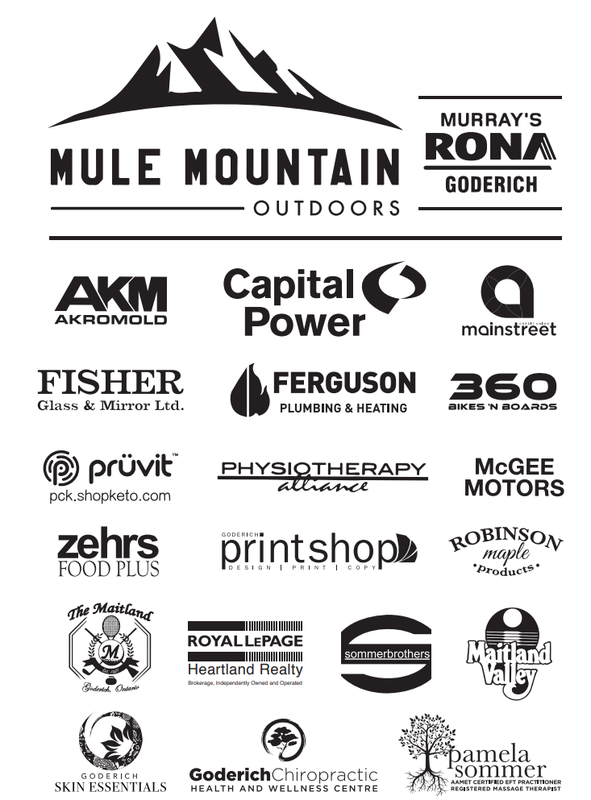 Post race Lunch and Beverage will be provided to participants (included as part of the registration fee). Also food vendors will be onsite for spectators to purchase food and drinks (both pre and post race options available).